A mysterious killer stalks his prey in an old, dark house! Sound familiar? Sure, the formula has been around since Lon Chaney Sr. first crept his way through 1925’s THE MONSTER, and was perfected in the 1927 horror comedy THE CAT AND THE CANARY. 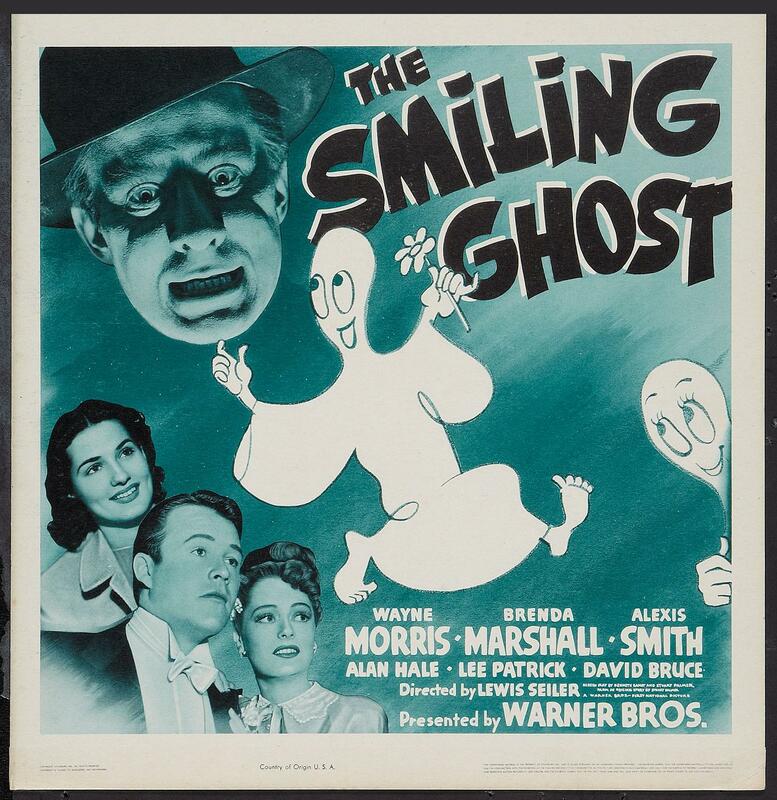 THE SMILING GHOST, a 1941 variation on the venerable theme, doesn’t add anything new to the genre, but it’s a pleasant enough diversion with a solid cast courtesy of the Warner Brothers Stock Company of contract players and a swift 71-minute running time. Lucky Downing, a somewhat dimwitted chemical engineer heavily in debt to his creditors, answers a newspaper ad for a male willing to do “anything legal’ for a thousand bucks. Rich Mrs. Bentley explains the job is to get engaged to her granddaughter, Elinor Bentley Fairchild, for a month. Smelling easy money, and a way out of the hole, Lucky and his best friend/valet Clarence take a train to the countryside to meet Elinor. What Mrs. Bentley hasn’t explained to Lucky is that Elinor is the infamous “Kiss of Death Girl”, whose three previous fiances have all met with disaster. The first drowned and the third was bitten by a cobra “on the 18th floor of a Boston hotel”. The second, Paul Myron, is in an iron lung due to a car accident, and is working with plucky girl reporter (is there any other kind in these films?) Lil Barstow to prove victim #1 is the undead “Smiling Ghost”. Elinor’s family is your basic motley crew of eccentrics, including Great-Uncle Ames, a collector of shrunken heads who develops an interest in Clarence! There’s sliding panels, secret passageways, and a masked killer roaming around, all the ingredients necessary for “old, dark house” fun. The script by Kenneth Garrett and Stuart Palmer is geared more towards humor than horror, though there’s a few atmospheric scenes staged by director Lewis Seiler , including one in a fog-shrouded graveyard. 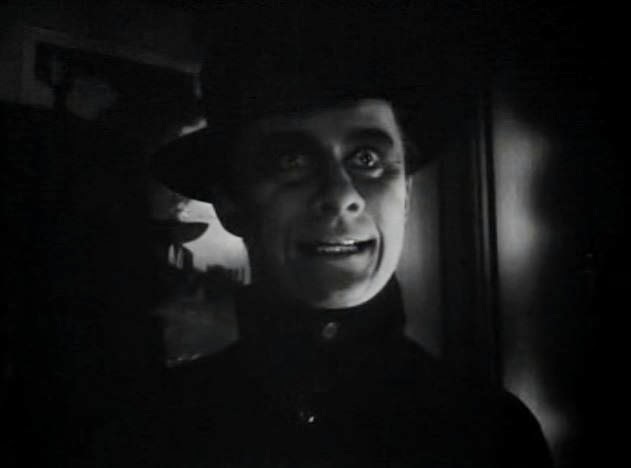 There’s also an innovative scene with Paul Myron in his iron lung talking to Lucky and Lil , his face reflected in the mirror, well shot by DP Arthur L. Todd, whose career stretched from 1917 until his death in 1942. Wayne Morris (KID GALAHAD, BROTHER RAT) does his good-natured lug act as Lucky, and he’s delightful. Ingenue Alexis Smith (THE HORN BLOWS AT MIDNIGHT , THE TWO MRS. CARROLLS) has one of her earliest credited roles as Elinor. Brenda Marshall (THE SEA HAWK, THE CONSTANT NYMPH) gets the plucky reporter part, David Bruce (THE MAD GHOUL , LADY ON A TRAIN) is Paul, Lee Patrick (THE MALTESE FALCON, GEORGE WASHINGTON SLEPT HERE) is a cousin, Charles Halton (TO BE OR NOT TO BE, IT’S A WONDERFUL LIFE) is the creepy Grand-Uncle, and brawny Alan Hale Sr. (ROBIN HOOD’s Little John) gets to show off his comic talents as Norton the butler. 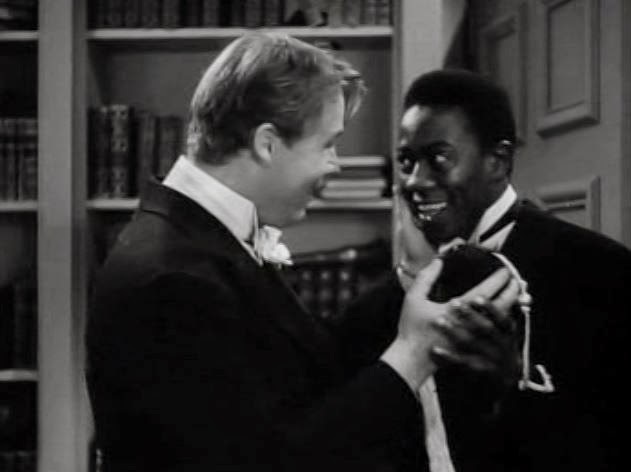 Wonderful Willie Best plays Clarence, whose relationship with Lucky is more as a pal than a servant. Mr. Best was a black comedian who no less than Bob Hope once called “the greatest actor I know”. 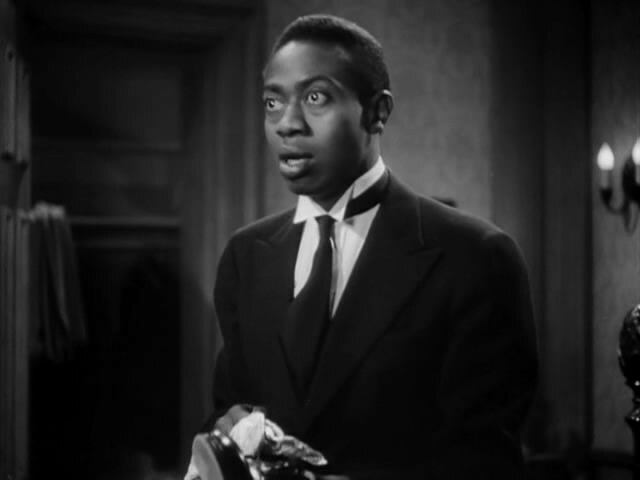 Willie’s from the Mantan Moreland school of acting, meaning he was usually typecast as a superstitious, “feets don’t fail me now” stereotype, and this film’s no different. However, Best’s comic timing was impeccable, and he and Morris make a great duo. Unfortunately billed as “Sleep’n’Eat” early in his career, the actor brightened many a 30’s & 40’s film with his talent. Equally unfortunate, a 1951 drug bust made him unemployable. Gale Storm , who knew Willie from her Monogram days, gave him steady work as Charlie the elevator operator in her sitcom MY LITTLE MARGIE, and had nothing but good things to say about his professionalism. Ostracized by the black community during the civil rights movement, forgotten by Hollywood, and reduced to making his living selling weed and women, Willie Best, one of Hollywood’s first recognizable black stars, died of cancer in 1962 at the young age of 45. 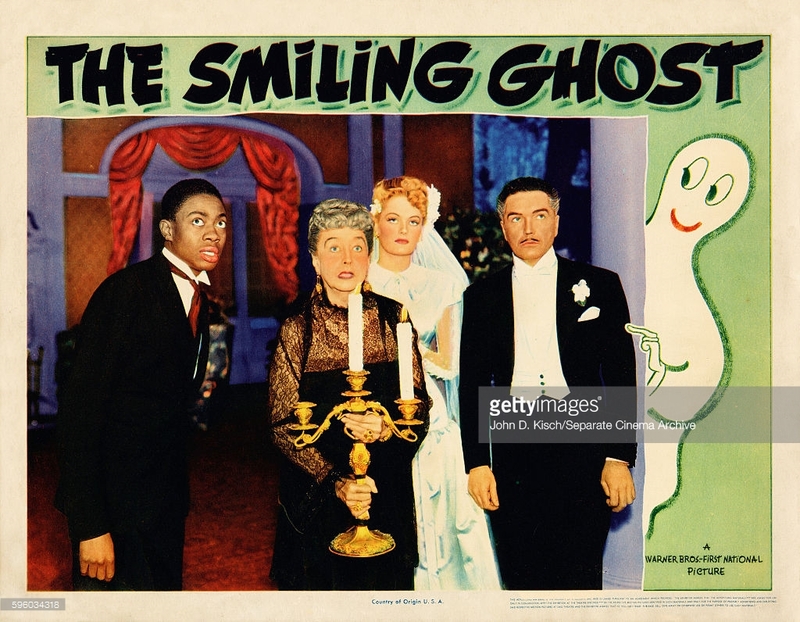 THE SMILING GHOST is silly fun, and won’t scare anyone under the age of ten, just an “old, dark house” mystery done by some seasoned pros that knew their business when it came to making quick ‘B’ movies. Sometimes I like these ”second features” better than the more prestigious films produced at the time. This one’s definitely worth a look.